There are good Doctor Who episodes and bad ones, great ones and terrible ones. Most are a mixture of these qualities, with the good generally outweighing the bad, but with a few the other way round. Every once in a while, though, an episode comes along with a frustrating mixture of good and bad and everything in between, making it extremely difficult to provide an overall opinion of the episode. Even averaging it all out to “mediocre” doesn’t truly convey the experience of watching the episode. “The Lie of the Land” by Toby Whithouse is one such episode. There is much about the episode that is really good—individual moments that thrill and entertain, a compelling concept and setting, some great performances, and more. Yet there is also so much that just doesn’t hold together—scenes that don’t add much to the overall story, a compelling setting that’s never really explored, and more. As the conclusion of a three-part epic, the episode falls completely flat. The story begun and developed in “Extremis” and “The Pyramid at the End of the World” suddenly seems superfluous and those two episodes kind of pointless, as “The Lie of the Land” doesn’t really do anything to build on them, particularly in developing the Monks, who in this episode become relatively generic villains and lose all that made them work so well in the previous two. “The Lie of the Land” starts so well, too. We get an intriguing glimpse of the dystopic world the Monks have created in the wake of Bill’s granting her consent at the end of the last episode. The pre-titles sequence sets the scene perfectly and the initial moments of Bill trying to keep her memories and having an imaginary conversation with her mother all help to build on the sense of doom. There are elements of “Turn Left” and “Last of the Time Lords” and the episode definitely seems to be trying to convey the same kind of mood as those earlier stories. But where those stories remain engaged with their settings throughout, “The Lie of the Land” creates its setting and then mostly never engages with it again after the opening moments. Once Bill is reunited with the Doctor, further engagement with the setting pretty much stops entirely. A major issue in “The Lie of the Land” is that it spends too much time on things that are ultimately rather inconsequential, and is not left with enough time truly develop its central concepts. The scenes with Missy are a good example of this. I like these scenes. I really do. And Michelle Gomez is absolutely captivating in them. They do serve as good character moments for Missy, but the episode isn’t really about her. Ultimately, the Missy scenes are more about advancing the series arc—providing us with the very captivating idea that Missy is trying to reform (or more likely, pretending to). This would be fine—great even—if the scenes didn’t sacrifice the development of this episode. The biggest culprit, however, is the entire segment with the Doctor “testing” Bill and goading her into attempting to kill him. The plot point of the Doctor colluding with the Monks is initially set up as a major part of the episode. Viewers no doubt assume, as Bill initially does, that he is pretending and working towards some sort of plan. 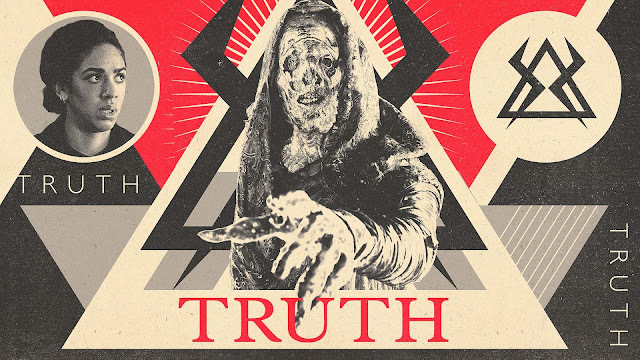 Personally, I thought that the Doctor’s plan was to convince Bill that he has switched sides (and that part turns out to be true) because Bill would turn out to be the link that allows the Monks to maintain their deception of the world (which also turns out to be true). Where my thought differed from what actually happens is that I assumed the Doctor was trying to make Bill lose faith in him (similar to what he does to Ace in the story “The Curse of Fenric”). Since Bill’s consent is given from her love for the Doctor, losing faith in him would then destroy the link. I expected Bill’s loss of faith to play out slowly over the course of the entire episode, so was quite surprised to see her reaching for a gun to shoot the Doctor only partway through. But my issue here isn’t that the episode plays out differently than I expected it to. That sort of thing happens all the time. Rather, it’s that it plays out in a way that is not all that believable (partly through happening much too fast), and is then discarded and completely forgotten about. Bill is briefly annoyed at the Doctor’s actions, and then it’s never mentioned again. What exactly its role is in the story is hard to say. It doesn’t work as character development as any consequences from it are immediately discarded. It also doesn’t really affect the resolution in any way. About all it does do is introduce a bunch of mostly nameless soldiers that the Doctor has apparently spent time carefully freeing from the Monks’ control, and then provide absolutely no development or personality for any of those characters whatsoever. It also does provide an utterly bizarre fake regeneration. I can buy the Doctor being showy and over-the-top in his performance. But there are still a couple problems. 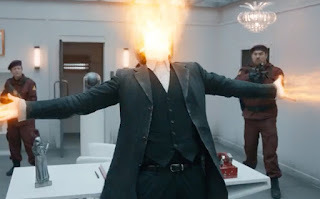 Bill doesn’t know what regeneration is. She’s never seen one and shouldn’t be able to recognize one, and just recently (in “Knock Knock”), the Doctor purposely avoided telling her about regeneration when he accidentally let the word slip. The implication at that time was that the Doctor didn’t want her to know about it. Of course, the Doctor being the Doctor, he might have changed his mind, but it would be nice if the show actually let us know these things. Ultimately, the fake regeneration seems more a tease for the audience than for Bill, and I don’t like that. I don’t mind when shows tease the audience, but it needs to work in the context of the story, and it just doesn’t here. 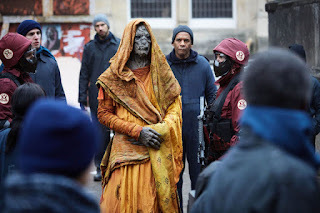 After the fake regeneration, the episode changes directions and becomes about the Doctor and friends making a direct assault on the Monks (plus a side trip to talk to Missy). And this leads to another major problem with the episode: the Monks themselves. The Doctor and friends have far too easy a time against them. I actually really like the revelation that there are only twelve Monks in total. It doesn’t contradict anything we’ve seen about them previously and is a great way to place a limit on their expansive powers—except that they never use those expansive powers. Over the last two episodes, we have seen the Monks do all kinds of incredibly powerful things. They have run simulations of the entirety of Earth history to make incredibly accurate predictions of the future, yet here are completely oblivious to anything the Doctor’s group is doing. They have been able to take control of planes and missiles trying to attack them, but here do nothing at all to stop the Doctor deliberately crashing a ship (and don’t even appear to notice—did the Monk who appeared on board earlier leave the ship at some point?). They can cure the Doctor’s blindness from halfway across the world, but can’t stop him and his small band from just walking into their pyramid. The only defence they put up at all is to fire lightning-like bolts at short range and create small personal shields. Given their abilities just last episode, couldn’t they just teleport the Doctor’s group away? The Monks feel like completely different enemies in “The Lie of the Land” compared to the previous two episodes. Indeed, they feel like generic alien invaders. Their aspects that made them unique are completely absent. Most disappointingly, the episode never once explores their concept of consent—the very thing that formed the basis of how they successfully invaded last episode. Instead, it leaves them without any hint of motivation or purpose. Also, why doesn’t the Monk on the prison ship recognise Bill? Considering she’s their link, wouldn’t the Monks make sure all of them (especially since there are only twelve) know her by sight? Really, wouldn’t they be monitoring her all the time? Perhaps the most frustrating part of “The Lie of the Land” is the very end, after the Monks have departed. The only time they display anything resembling the power they had in previous episodes is when they leave and very conveniently make the whole world forget. Doctor Who has had a long history of humanity not noticing or forgetting about the various alien invasions it’s faced. Indeed, the show has made it into something of an ongoing joke, poking fun at how unobservant people can be. However, in the vast majority of cases, the situations that have been ignored or forgotten have been fairly localised. For a while during the tenth Doctor’s time, when things began happening on a larger scale, the show actually had people remembering events, but most of this was undone during the eleventh Doctor’s time. It’s a way for the show to ignore any long-term consequences of an episode. Having the Monks erase the whole world’s memory of their presence (except the Doctor’s and Bill’s of course) is clearly meant to poke fun at the show’s tendency to do this sort of thing. However, it creates all kinds of problems, not the least of which is perpetuate the show’s no-consequences problem—a problem I have taken issue with many times. And I have no doubt that the consequences of the memory erasure (such as the friends and relatives of all the countless people the Monks killed now having no idea what happened to their loved ones) will be completely ignored in future episodes. Despite the frustrating aspects of “The Lie of the Land”, however, there’s also quite a bit of good in it. As I mentioned before, I really enjoy the scenes with Missy. The actual resolution where Bill’s imaginary memories of her mother are what defeat the Monks is really well done and works reasonably well. It would work even better if there was a better lead-up to it, but overall, it’s a strong resolution. The idea that it takes a fantasy to unravel a fantasy is really quite clever. 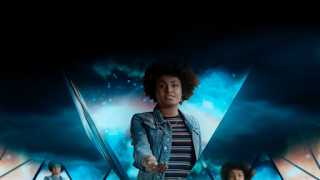 In my review of “The Pyramid at the End of the World”, I had intended to comment on the way the episode inverts the “love saves all” trope by having love doom all. Unfortunately, I managed to forget to include that. However, one way in which “The Lie of the Land” actually builds on what came before it is by reversing that again. 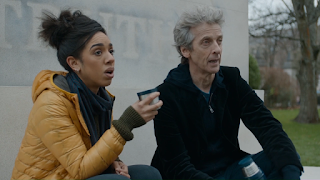 The “love saves all” trope has been poorly used in Doctor Who in recent years, but here it works. It not only builds on the end of “Pyramid” but also ties together the threads about Bill’s mother that have appeared throughout the series so far. In particular, it brilliantly ties back to the pictures of her mother the Doctor gave Bill in “The Pilot”, an act which allows her to visualise her mother well enough to defeat the Monks (and which gives the Doctor a somewhat legitimate reason to take credit for Bill’s success). Of course, the whole concept of the Monks creating a fake history ties into current real-world events surrounding the idea of fake news. The Doctor even calls the Monks’ device, “Fake News Central”. I do wish there were a bit more consequence for Bill at the end. We are told earlier that for Bill to defeat the Monks, she would have to die or have her mind destroyed, yet she comes through the whole thing completely unscathed. I’m not suggesting she should have died, but perhaps knocked unconscious for a while or something like that. But this is a minor point. 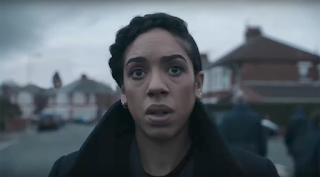 Pearl Mackie gives an incredible performance throughout. Even though the script makes her decision to shoot the Doctor happen a little too quickly to be credible, her performance sells it, and she makes Bill’s struggle to defeat the Monks at the end emotional and moving. Overall, I suppose I would have to consider “The Lie of the Land” to be a rather poor episode of Doctor Who and definitely the weakest of Series 10 so far. There is a lot of good in it and it’s entertaining to watch, but but it’s also highly frustrating and unsatisfying. I can’t help but feel that the story was not originally written as a conclusion to the Monk trilogy and by making it the conclusion, it could no longer effectively tell its own story and wrap up the Monk one as well. I have no idea if this is really the case, but it would explain why the Monks in this episode are so unlike the Monks in the previous two episodes. 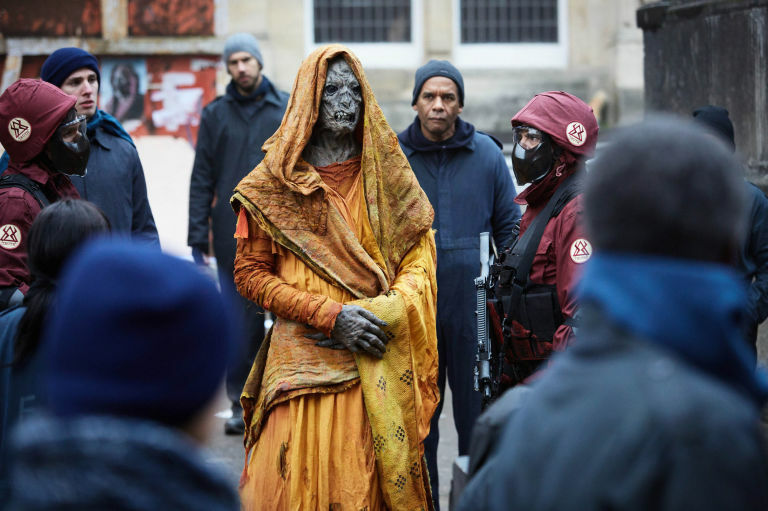 Unfortunately, as such a poor conclusion to the Monk storyline, it kind of pulls down the previous two episodes as well, and that’s a shame, given how good Series 10 has been so far otherwise. Oh well. I have a feeling there's still some good stuff with Missy to come. so nice to enjoy an elaborate review and summary of a very good book and a tv series which i never have time to watch because of dissertation writing services projects so i spend my time off reading these review and enjoying them. Science fiction is my favorite, this post is great and thanks for sharing the story. I cant wait to view your next story. Keep up the good job for always sharing what you have with us.